Barbara's life is shrouded in mystery, but we DO know she loves bears, her husband, politics, and Austrian liquors. Carla joined the League of Women Voters of South Whidbey Island in 1998, after living in Indonesia for three years. She and her husband had owned recreational property on South Whidbey since the late 1970s, but after their Southeast Asia adventure, decided to become permanent residents of the island. Carla was actively involved with the South Whidbey chapter during its existence, serving as Children’s Justice Committee chair and eventually becoming co-president. However, career responsibilities in the field of child advocacy mounted, and eventually, she needed to take a hiatus from League work. She returned to the League of Women Voters of Whidbey Island after retiring in 2015. Having been born and raised in Guatemala, where the concept of a democratic form of government often received little more than lip service during her growing-up years, Carla believes strongly in the unique, non-partisan efforts of the League of Women Voters to inform the voter and encourage active participation in government. 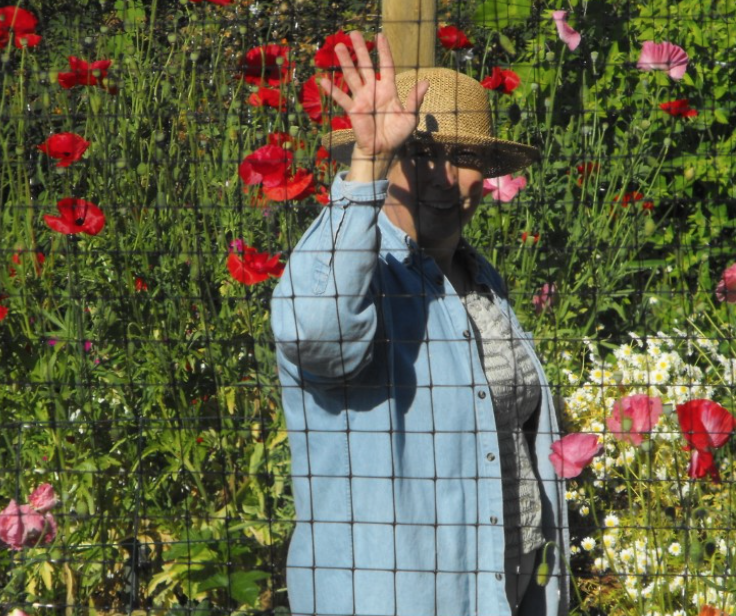 Karol moved to Whidbey Island the summer of 2015 and was encouraged by her long-time friend to attend a League meeting. She was immediately impressed with the knowledge and experience of the board members. As a retired teacher, she is passionate about getting young folks registered to vote and to engage in civic concerns. Karol enjoys writing the newsletter and keeping the LWV Whidbey members informed of the many ways they can get involved. Anne is a recently retired accountant whose husband’s job relocated the family to Oak Harbor from Sequim in 1995. She joined the League a few years later after attending a Legislator’s Brunch at the invitation of Betty Freund. Anne enjoys reading, solving crossword puzzles and camping, but her favorite activity is family time with her four children, their spouses, and her five brilliant, adorable grandchildren. Dolly has been a member of the League most for almost 30 years. She grew up in Washington state but had lived in B.C. Canada for 14 years prior to moving to Whidbey. The League was a good way to get back into US political awareness and action, and also a way to meet great people. For several years Dolly was the person who called new members to interview them and welcome them to the League. Joann Roomes is a retired Teacher Librarian, interested in music, gardening, reading, travel, and history. Her education has included post graduate studies for certification in information services (library science), and additional “lifelong learning” included field work in Washington history, geology, and natural sciences. Previous experiences include attendance as historical re-enactor at black powder/long-rifle encampments over several years. Joann enjoys volunteering as a docent at the Jacob and Sarah Ebey House near Coupeville, at the Coupeville Branch of Sno-Isle Libraries, as a volunteer and guide at several events at the Ferry House at Ebey’s Landing near Coupeville, and church leader/RE teacher at the Unitarian Universalist Congregation of Whidbey Island. She is a member of the LWVWI Board, Historic Whidbey Board, and the Coupeville Library Board. She is gratified to be a member of the League, as active civic participation by women is so important to our democracy. Diana is following in her Mother's footsteps by being a member of the LWV...for her, it is a way to stay informed about national, state, and local events and concerns. There is much to learn and she finds that there is power in numbers. Diana is an avid birder and loves gardening and reading. She has 3 grown children and 4 grandchildren who also live on WI. Karin Bolstad, her husband, and her 11 year old daughter are residents of Langley, formerly of Seattle. She is a working artist at Blueschool Arts in Clinton. Karin joined the League after the election of 2016, because she realized that she was not participating enough within the civic sphere: and the League provided a structured and effective place for her to learn and serve her community. She helps out the League with any design-y type stuff and managing the website. Joyce joined the League in the 90's, following the footsteps of her smart and much admired aunt in Omaha who believed women should be informed and active in the public forum. The League has provided for her context, information, means to participate and wonderful colleagues throughout the decades. It's a very valued part of Joyce's life. We are devastated to report that Joyce Peterson, who was a former co-president of the Whidbey Island League of Women Voters, has passed away within 2 months of being diagnosed with cancer at home with her family present on Friday, July 19 at age 63. Joyce and her husband, Fran Einterz, met in Kenya when they both were doing volunteer work for Peace Corps. After moving to Whidbey Island she and Fran started a successful business called Service Alternatives which provides residential care for dependent people on contract to Washington State. Joyce also worked as an Occupational Therapist for the Oak Harbor school district as well as being active in the League and being on the board of Small Miracles. She also enjoyed singing in the community chorus and dancing. was and the wonderful things she did. We cannot express how much we will miss her.